At Pfaff, we love things that go fast - whether that be on land, or in the water. And that's why we are thrilled to announce the custom build of our very own Carbon Marine 28 Super Sport. Matching the aesthetics of our finest super cars, the 28 Super Sport (28 SS) is hand crafted out of carbon fiber. It is the only of its kind on the water. Using all carbon fiber for the boat's structure leads to a hull with significant performance enhancements in speed, rough water handling, and a dramatic reduction in fuel consumption. 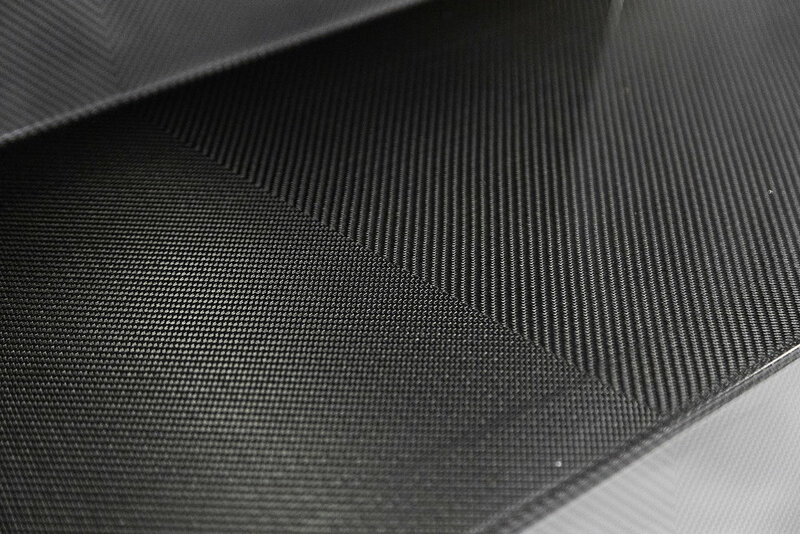 Not only that, but the finishing of the 28 SS is fully exposed carbon weave. The 28 SS is a supercar on water. Carbon Marine boats are lighter, stronger, and faster than conventional fiberglass models. This leads to higher top speeds and superior gas mileage – an unheard-of combination. Carbon Marine is an industry leader - being one of the first to offer a fully carbon fiber power boat. We are excited to have commissioned one of the first Carbon Marine builds and customized it exclusively to be one of the most stunning boats on the water. *please note these are estimates and may not reflect final numbers. Carbon fiber has revolutionized many industries, maximizing performance, weight, strength and desirability with premium aesthetic finishes. Many of our Pfaff brands such as Pagani, Porsche, and McLaren utilize carbon fiber in the construction of their vehicles for precisely these reasons. Each boat is handmade by advanced composite experts, lining up each layer of fabric with incredible care and detail. Carbon Marine uses vacuum infusion with military grade epoxy ensuring the strongest, lightest and most aesthetically pleasing products. Even the inner support structures of the hull are all carbon. 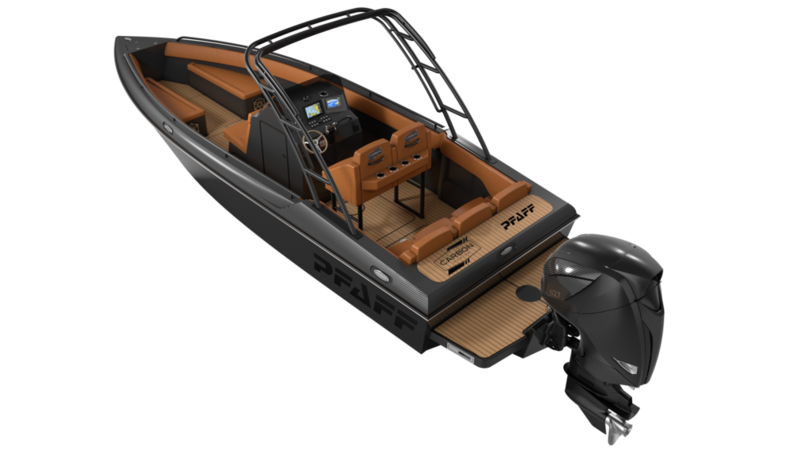 Made right here in Canada, the Pfaff 28 Super Sport is a luxury high-performance day boat. Fish in the morning, get there and home fast and comfortably, pick up your family and head out for a day cruise. Whatever the occasion, the 28 SS is designed to suit your needs. The Pfaff 28 SS has an unmatched power-to-weight profile that will change your perception of what’s possible on the water. 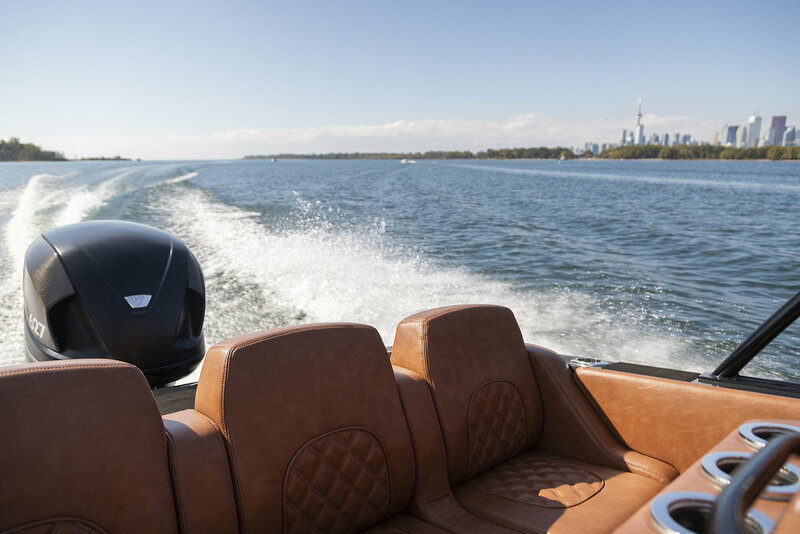 With the agility of a super car, and a deep V designed for offshore conditions, the 28 SS is truly next level boating. You are one step closer to experiencing the most unique watercraft on the water. For inquires, further specs, sea trials, and upcoming events - please contact us. Thank you - a member of our team will be in touch shortly.